6-CD box (LP-size) with 16-page book, 152 tracks. Playing time approx. 419 mns. 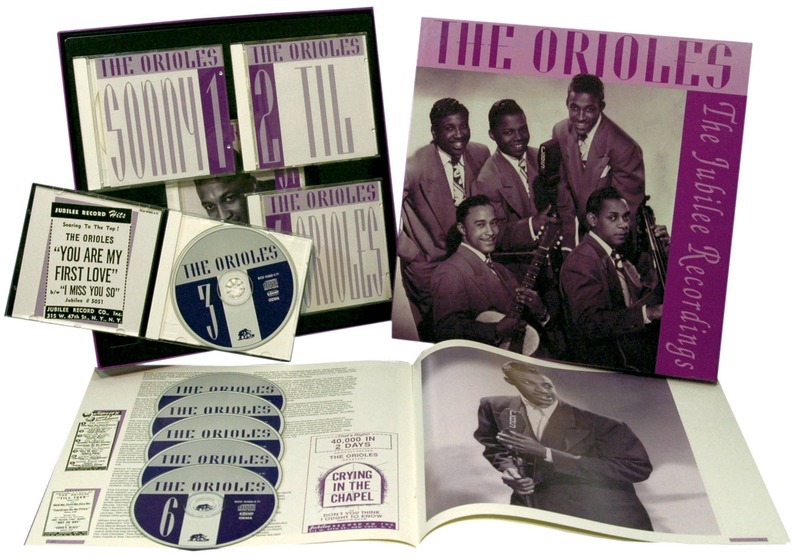 Sonny Til was one of the classic voices of black music, and his group, the Orioles, is generally reckoned as the first R&B vocal group. They were the ones that brought the Ink Spots sound into the modern era, and along the way they scored some memorable hits. All of them are here, like' It's Too Soon To Know, Crying In The Chapel, and Tell Me So. This is the Orioles from A-Z. The set starts in 1948 and concludes in 1960. 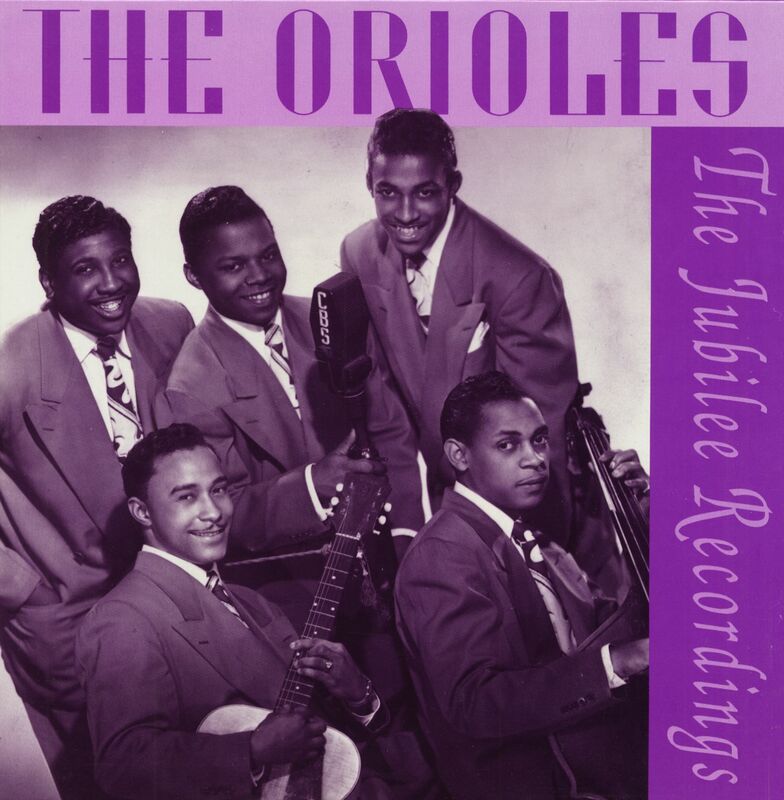 More than 150 recordings for Jubilee Records, rare photos, and a newly researched bio tell the story of Sonny Til - perhaps the greatest voice in vocal group history - and the Orioles. 17 Is My Heart Wasting Time? 22 What Are You Doing New Year's Eve? 23 Would You Still Be The One In My Heart? 02 Hold Me! Squeeze Me! 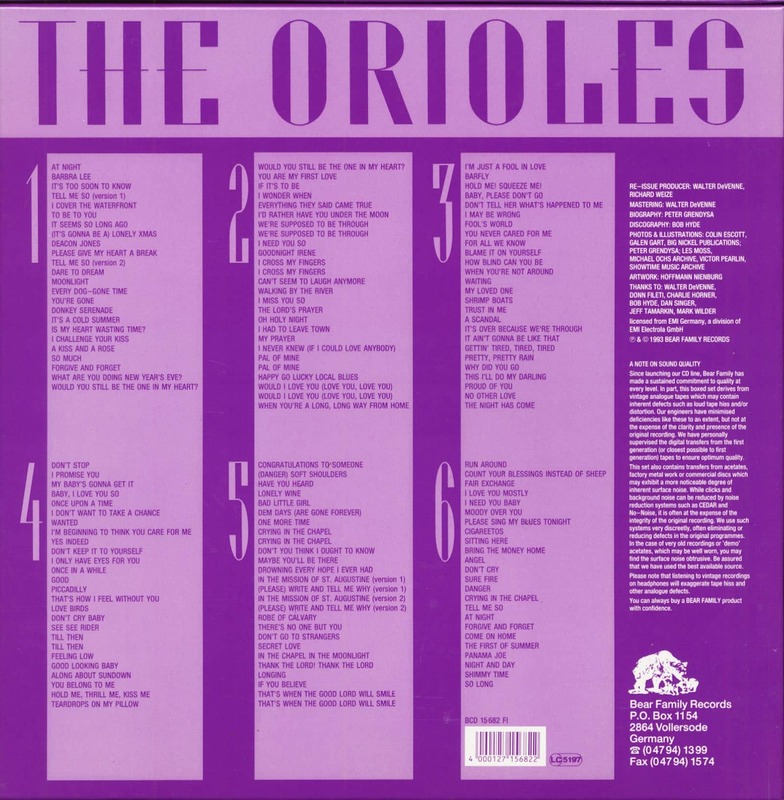 Even more than The Ravens' Ol' Man River, The Orioles' It's Too Soon To Know was the flashpoint of the R&B vocal group era. 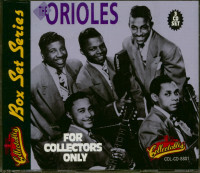 The Orioles appealed strongly to the teenage demographic; Sonny Til's quicksilver lead tenor and good looks elevated him to matinee idol status among his African-American female fans. Countless groups emulated their pristine balladry. They were unmistakably R&B rather than pop. Til was born Earlington Carl Tilghman in Baltimore on August 18, 1925 (he liked Al Jolson's Sonny Boy as a lad, inspiring his nickname). After a wartime stint in the Army, Til started competing in the amateur contests at Baltimore's Avenue Cafe, where he met his future group mates: first tenor Alexander Sharp, second tenor/guitarist Tommy Gaither, baritone George Nelson, and, after Richard Williams came and went, bass singer/bassist Johnny Reed. That's also where Til met aspiring songwriter Deborah Chessler, who took on their managerial reins. Initially, Til and the guys called themselves The Vibra-Naires; Williams was still with them when they journeyed to New York to compete on 'Arthur Godfrey's Talent Scouts' in May of '48. They lost out to blind jazz pianist George Shearing, but Godfrey invited them back to perform on his daily radio program. On the strength of some demos, Chessler convinced Jerry Blaine of Jubilee Records to start a new label, It's a Natural, to showcase her group. Before they went into the studio in July of '48 with Reed now installed on the bottom, a name change was in order: they helped kick-start another trend by calling themselves The Orioles (a bird long associated with their hometown). Chessler handed them a delicate, ultra-slow ballad she'd written, It's Too Soon To Know. Til sang lead in his tremulous tenor, handing off front duties for some of the second stanza to Nelson much the way Bill Kenny made way for Hoppy Jones on The Ink Spots' hits. Instrumentation was sparse: Gaither, Reed, and Sid Bass on all but inaudible piano. Released that same month, It's Too Soon To Know was a sensation, rocketing to the top of the R&B charts that November, making a #13 pop impact, and attracting a raft of covers from everyone from The Ravens and Charioteers to Dinah Washington and Ella Fitzgerald. It was the first of an avalanche of hits for the young group: (It's Gonna Be A) Lonely Christmas at year's end was followed by the R&B chart-topper Tell Me So and five more in 1949 alone. All of them hit the racks on Jubilee (as did later pressings of It's Too Soon To Know), Blaine pulling the plug on It's a Natural because it sounded too much like National, where The Ravens, prime competition for The Orioles, did their recording. Customer evaluation for "The Jubilee Recordings (6-CD Box Set)"